Offering a 401(k) sends a message to your employees that you’re invested in their future. According to research from Guideline, about half of American families have no retirement savings. What’s more: Less than half of small businesses offer a retirement plan. Consequently, it’s unsurprising that the research also indicates that employees who are satisfied with their benefits – like a 401(k) plan – are also extremely satisfied with their jobs overall. Are you a small business owner looking to get started with this powerful employee benefit? There are plenty of helpful resources available over on the IRS website that cover the actions you need to take to get everything set up. But in the event tax code isn’t a language you’re fluent in, let’s break things down a bit more simply. Step 1: Choosing your plan type. The IRS has designed annual nondiscrimination testing to make sure the plan a business offers is equally accessible to every one of its employees. If a plan fails one of these tests, it could result in expensive corrections, a lot of administrative work and potentially even refunding 401(k) contributions. How and when an employer makes contributions on behalf of its employees is the main differentiator for 401(k) plan types. While there’s no requirement that employers make contributions at all, a 401(k) plan can skip nondiscrimination testing altogether depending on how contributions are made. Traditional 401(k): Employers have the flexibility to choose between not contributing at all, making outright contributions or matching a portion of the wages employees defer. An employer can also set up these contributions with a vesting period. While it’s useful to set up your plan however you want, a traditional plan must pass nondiscrimination testing each year. Safe Harbor 401(k): This plan type is similar to a traditional plan, but it requires employers to make contributions. There are very specific rules about how contributions are structured in these plans, and they usually must vest immediately. By committing to making these contributions, a plan gets to bypass nondiscrimination testing. Companies of any size can offer a Safe Harbor plan. SIMPLE 401(k): SIMPLE is an acronym for “Savings Incentive Match Plan for Employees”. This plan type is allowed for businesses with fewer than 100 employees. Similar to the Safe Harbor plan, SIMPLE plans require employers to make contributions to their participants’ 401(k) accounts that vest immediately. SIMPLE plans are also exempt from nondiscrimination testing. Step 2: Adopt a written plan. Once you’ve selected a plan type, you need to create a written document that — according to the IRS — “serves as the foundation for day-to-day plan operations.” That language may sound a little intimidating, but your 401(k) plan administrator will usually handle this paperwork for you. Step 3: Arrange a trust fund for the plan’s assets. A plan’s assets must be held in trust to ensure that they’re used solely to benefit plan participants and their beneficiaries. In other words, all those employee and employer contributions need to be kept in a safe place by a custodian and monitored by a trustee. A trustee is responsible for collecting the contributions, investing them as directed by the participants, and issuing distributions. This is also something your 401(k) plan administrator will typically handle for you. Step 4: Develop a recordkeeping system. It’s important to maintain a reliable accounting of the activity in your plan. This step helps you keep track of contributions, earnings and losses, plan investments, the expenses and the benefit distributions from participants’ accounts. Doing a good job will make the preparation of the plan’s annual return easy. Step 5: Provide plan information to participants. You must notify all eligible employees about your 401(k) plan (or any updates to it), typically 30 days before they go into effect. A summary plan description that you circulate usually serves as the primary way to share information about your plan and its benefits. If you include plan features like automatic enrollment, Safe Harbor or a Qualified Default Investment Alternative, you may have to issue additional notices to your plan participants. Your business pays less income tax because employer contributions are deductible business expenses (below certain limitations). Your business can deduct the costs to set up and administer the 401(k). Your business may also qualify for a Retirement Plan Startup Costs Tax Credit. This is a lot of information to get through, but don’t let that scare you away from offering your employees a 401(k). Most businesses rely on a 401(k) administrator to handle some or all of these steps. Start working with your administrator today to improve your employee benefits, which, in turn, improves employee satisfaction. 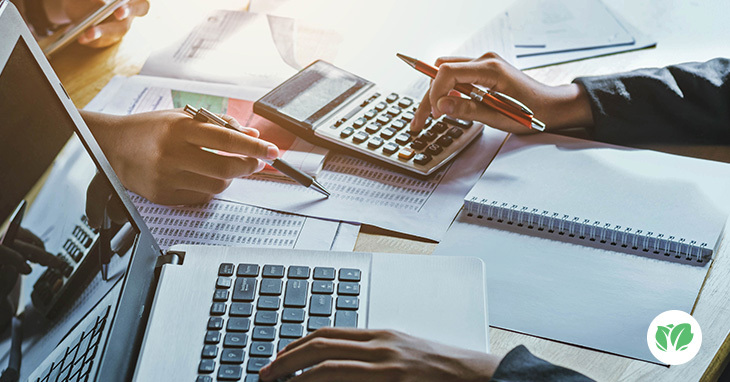 Nicolle Willson, JD, CFP®, C(k)P®, is the Senior Retirement Specialist at Guideline, where she helps small businesses find the best-fit 401(k) plan for their unique situations. Guideline, an all-inclusive 401(k) platform, helps small businesses with plan administration, compliance testing, reporting and disclosure, investment management and payroll provider integration. More articles by Nicolle can be found here.